As Airbnb continues exploding in popularity as a community-driven lodging rental site, several cities across the U.S. are seeking to regulate its activities at various levels. As community-driven lodging rental site Airbnb continues exploding in popularity, several cities across the U.S. are seeking to regulate its activities at various levels. Virginia Beach, Va. estimates it is losing over $200,000 in annual taxes because of Airbnb’s activities in the city, according to WTKR. City officials have tried to get the company to identify who in the city has been renting properties so it can pinpoint who to tax, but 18 months’ worth of talks have been stalled. The city argues that Airbnb has not responded to their requests, while Airbnb says it supported a bill that the hotel industry snuffed out, which would allow the company to collect and remit taxes in the state of Virginia. "It's a local tax and it needs to be administered locally and they need to clear this up," Virginia Beach Chief Deputy Commissioner of the Revenue Eric Schmudde told WTKR. While Chicago’s Lincoln Park neighborhood alone shows 300 rental units available, only 131 units have legally registered with the city as licensed Airbnb rentals. 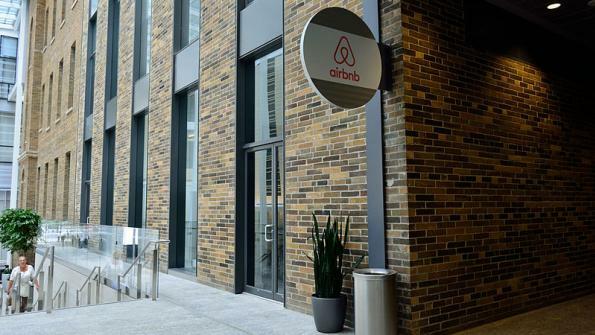 Chicago mayor Rahm Emmanuel has supported a proposed ordinance that would regulate any 90-day or more Airbnb (or similar service) rental as a commercial property, the Chicago Tribune reports. The ordinance, which would also apply a 4 percent surcharge to online rentals, will be voted on later in May. In April, Airbnb agreed to let Newark, N.J. regulate its activities in the city at the same rate as city hotels, The Real Deal reports. Newark Mayor Ras Baraka expects to collect around $750,000 from the new regulations in its first year. States such as Massachusetts and New Hampshire have also proposed laws that would regulate Airbnb in their states, according to the Boston Globe and New Hampshire Public Radio. Airbnb is already regulated in U.S. cities such as New York, San Francisco and Santa Monica, Calif., according to Investopedia.